We attended Euroconsult’s World Satellite Business Week in Paris last week, one of the largest global gatherings of space industry leaders ranging from satellite manufacturers and operators to start-ups and investors. While satcom operators remain optimistic that their core market of TV is stabilizing, it is critical for the industry to adopt rapidly changing new technologies and business models to drive long-term sustainable growth. Broadband is the future for satcom; TV is declining over time. TV broadcasting has been the biggest revenue and profit driver of satcom services, making up more than 70% of the market. However, more and more people are streaming videos through OTTs (Over the Top) like Netflix and Amazon Prime than watching traditional satellite and cable TV. SES, the largest satcom operator, expects growth from broadband data to outpace video, accounting for half of the sales in a few years. Operators also need to find ways to add value and enrich the viewer experience. Key drivers for expanding satcom market opportunities are higher speed, better performance and economics, measured in cost per bit. Industry leaders believe $1 million per Gigabit is achievable in current generation of satellites. Industry leaders see growth opportunities in the following markets: Aeronautical, Maritime, Enterprise Fixed Data, Government, Consumer Broadband, Rural Area, Internet of Things (IoT), Cellular Backhaul and Wireless 5G. Monetizing the fast-growing aeronautical market. Aero is projected to grow significantly from $735 million last year to more than $2 billion by 2022 from always-on inflight connectivity and increase in air traffic, according to SES and NSR. However, passengers expect quality internet coverage everywhere for free. Operators and airlines see potential to monetize the captive inflight community from advertising, e-commerce and content, as well as higher automation and operational efficiency from connected aircraft. Fishing, cruise and fleet management driving demand for maritime satcom. The maritime market is projected to grow from $1.9 billion in 2017 to $2.9 billion in 2020, according to SES and NSR. Key drivers are critical applications of fleet management, commercials vessels upgrading from narrow-band to broadband, cruise vessels, fishing and expanding services to smaller vessels with new antenna and ground terminals. Growing US Government DoD budget. The defense market is less price sensitive; the focus is on throughput/performance, encryption and anti-jamming for network security. Satellite IoT opportunities: mobility, real-time asset tracking and resiliency. The number of connected Internet of Things (IoT) devices worldwide will grow from nearly 27 billion in 2017 to 125 billion in 2030, according to IHS. Satellite will play an important role in providing global IoT connectivity as only 10% of earth is covered by terrestrial communications (cellular, Wi-Fi). Satellite is complementary to terrestrial as its can deliver ubiquitous coverage, and is well-suited for mobility (trucks, ships ad airplanes), and real-time asset tracking, according to Iridium. Iridium is the leading incumbent LEO satellite operator. M2M IoT is Iridium’s fastest growing business. The company sees opportunities outside of cellular connection including heavy equipment, oil & gas, transportation, maritime, drones and connected cars/trucks. SigFox, the leading LPWAN IoT player, is another veteran in this market. It has recently partnered with Eutelsat to extend its terrestrial network. Battery life, cybersecurity, interoperability and scale to drive down equipment cost are key to success in IoT, according to SigFox. Common to all these market opportunities is the importance of ground/antenna technology. To provide consumer satellite broadband and enable communications on the move with small fast-moving platforms like cars, planes and boats, low-cost and easy to install antennas that can track hundreds or thousands of satellites will be critical to unlocking the market potential. Ground technology needs to multi-access and be inter-operable with telco to link space with other terrestrial networks. Several startups (Kymeta, Phasor, Alcan Systems and Istropics) are developing electronically steered flat antennas. This is key to enabling connectivity with LEO and MEO mega-constellations, but it remains to be seen whether the antennas will be affordable enough to drive mass adoption of consumer satellite internet. Kymeta is the only company that is shipping products today. Both Kymeta and Phasor are currently focused on enterprise and government, not consumer, as their antennas cost tens of thousands of dollars. Isotropic and Alcan are targeting 2019 releases of lower cost enterprise and consumer broadband antennas. What are the incumbent GEO operators doing to position themselves for these opportunities vs new LEO mega-constellations? SES is doubling down on a next-gen MEO to be launched in 2021 to deliver connectivity with low-latency and fiber-like performance for data services. It is the only operator with a hybrid MEO and GEO strategy targeting mobility, government and fixed data. 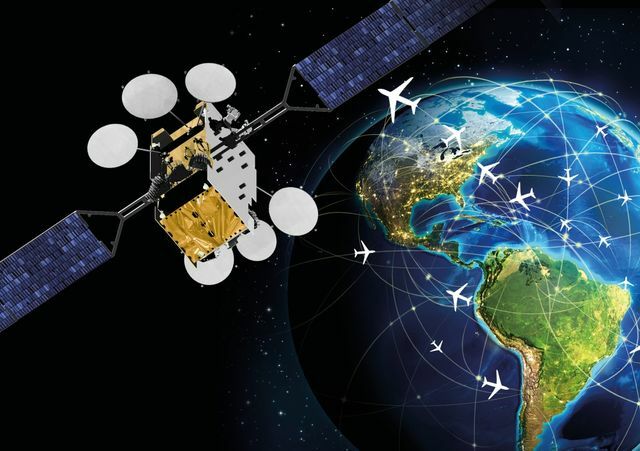 Eutelsat’s next-gen VHTS satellites are expected to enter into service in 2021 to support the development of its European fixed broadband and in-flight connectivity businesses. Eutelsat is expanding into adjacent markets by developing a nanosat for IoT through partnership with Sigfox. Inmarsat is a leader in mobile satellite services. It sees growth opportunities in maritime, government, aero and IoT, but it faces growing competition in its key maritime market from other operators expanding into this growth market. TeleSat is building a smallsat LEO constellation targeting service in 2022 to augment is GEO constellation. The company sees strong demand for LEO broadband in aviation, maritime, enterprise, government and rural connectivity. Intelsat is launching its last HTS satellite in a few weeks and is focused on enterprise, wireless infrastructure and mobility. The company continues to expect a decision from the FCC in 1H2019 on its joint C-band proposal with SES and Eutelsat as the US government views 5G as a national priority. Both US satellite broadband providers Hughes and ViaSat have massive GEO satellites launching in the early 2020s. ViaSat is having success with aero and international expansion. In-flight connectivity aircraft will double this year; consumer broadband trial through Wi-Fi hotspot in Latin America is rapidly gaining traction. Hughes expects growth from expanding broadband internet outside of the US and aero. OneWeb and LeoSat were the only two new LEO entrants at the conference. OneWeb declined to confirm the total cost of its constellation, which was originally set at $3.5 billion in 2015 based on $500,000 each or less for a satellite. The COO declined to comment on the overall constellation cost at the conference other than that each satellite would cost below a million, as the company recently appointed a new CEO to complete the financing of its constellation. LeoSat plans to complete its $100 million Series A by year-end with a new strategic investor, Spanish satellite operator, Hispasat, matching the investment from Japanese operator JSat last year. Unlike OneWeb and SpaceX, LeoSat is focused is on high-end customers willing to pay for guaranteed low-latency high capacity. The company is four years from commercial launch, but it has more than $1 billion in soft customer commitments from multiple verticals including government, enterprise, oil & gas, aviation, maritime and banking. Finally, every technology has its strengths and weaknesses. The success of future satellite communications will require cooperation and interoperability between GEO, MEO, LEO constellations and terrestrial 5G.